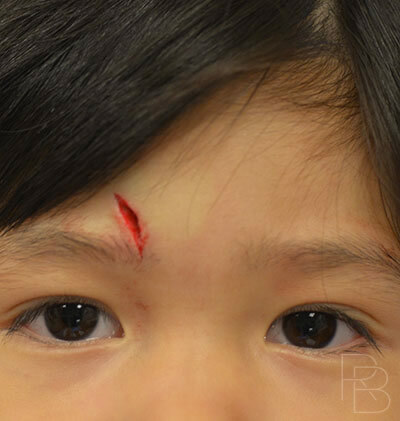 The injury of a child can be very frightening to both the patient and the family. An immediate concern about the return of normal function and the final appearance is common. In these situations, it is good to be in the hands of someone comfortable with the care of your child. We have extensive experience that comes from helping many people with similar injuries. 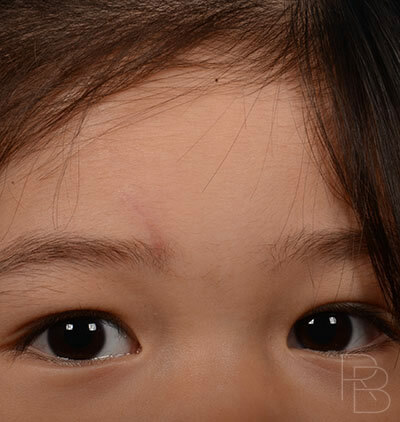 Early intervention and follow up is adequate in most instances, but occasionally revision surgery is needed for optimum appearance and function. We are there for all phases of these injuries. Most skin (soft tissue trauma) injuries including lacerations and animal bites are managed immediately within the first few hours following an injury. These involve the use of topical and local anesthetic in most instances. The wound is then closed meticulously if the situation allows. 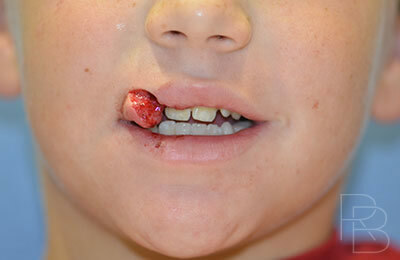 Sutures remain for approximately 5-8 days but may be removed earlier for the youngest children. Wound care is then tailored to the age and tolerance of the child. Antibiotics are usually employed with the addition of a probiotic and attempts at activity restriction are made. Facial Fracture (bony trauma) treatment is often performed at a separate time depending on the location. However, most broken noses (nasal fractures), eye sockets (orbital fractures), cheeks (malar, maxillary, or zygoma fractures) are repaired in the first 1-2 weeks following the injury. However, children heal faster than adults. Fractures repairs are performed under general anesthesia. If access to the fractures is needed, it is gained utilizing the same incisions chosen for cosmetic procedures to avoid any unsightly scarring. If hardware is utilized, modifications in the type and duration may need to be made. After awakening from anesthesia and confirming the comfort of your child, they will be able to go home in the care of a responsible adult. The morning after the procedure, the incision is checked to make sure healing is progressing as desired. 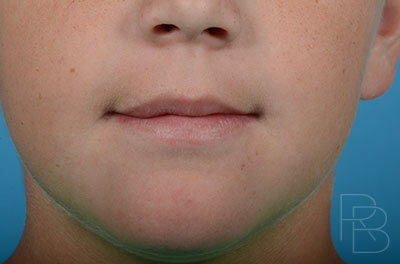 Swelling is normal and responds well to a cool compress, head elevation, and light activity. An oral rinse is used if incisions in the mouth are used. Pain is usually dependent on the initial injury but can be managed. After 1 week, any external sutures are removed and most bruising and swelling is gone from the face. With the exception of heavy lifting and direct trauma, normal activities can be restarted after 2 weeks in most instances. Swelling continues to improve over the first month.